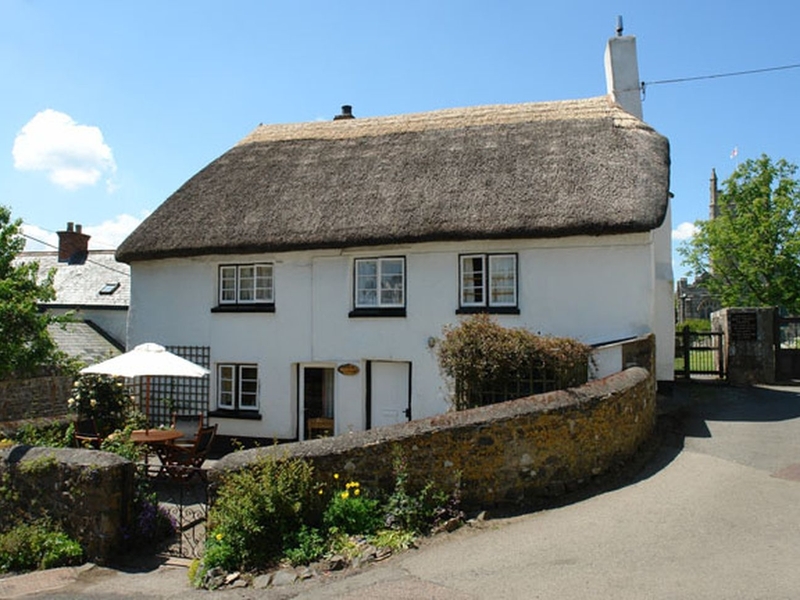 Drewsteignton is another semi moorland picturesque village with cob and thatched cottages. 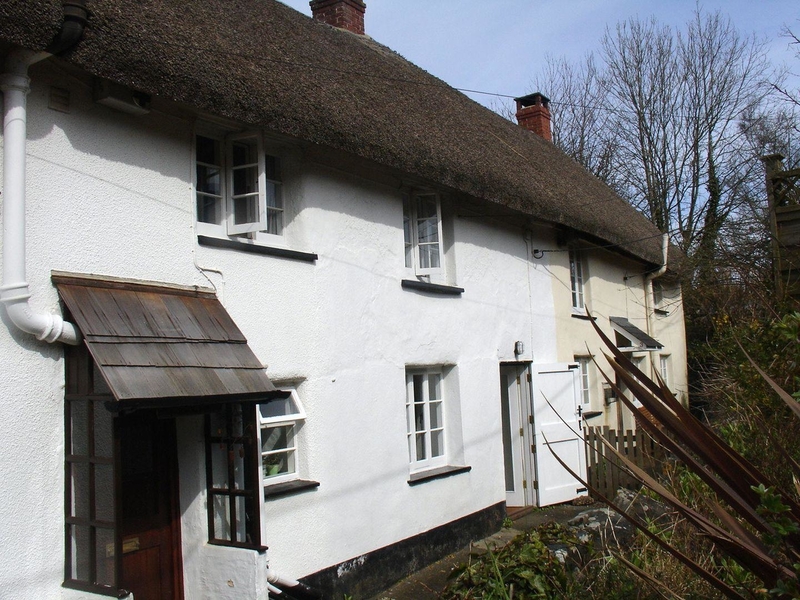 The name itself is probably derrived from the first local Baron Dru who lived in the 12th Century and the River Teign that runs close to the vollage. The iron age hillfort called Prestonbury Castle testifies that people have been living in the area for thousands of years. The bridge that crosses the Teign is made from Granite and dates back to the 16th or 17th Century. The Church is slightly older with parts dating from the 13th 14th Century, but most of it is later. It does have an authentic Norman font that seems to be considerably older. 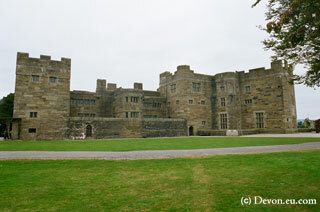 The other major landmark near the village is the Neo Gothic Castle Drogo nearby built in the early 20th Century by the famous architect Edwin Lutyens for Julian Drewe a succesful businessman who seems to have been related to the original Baron's family. 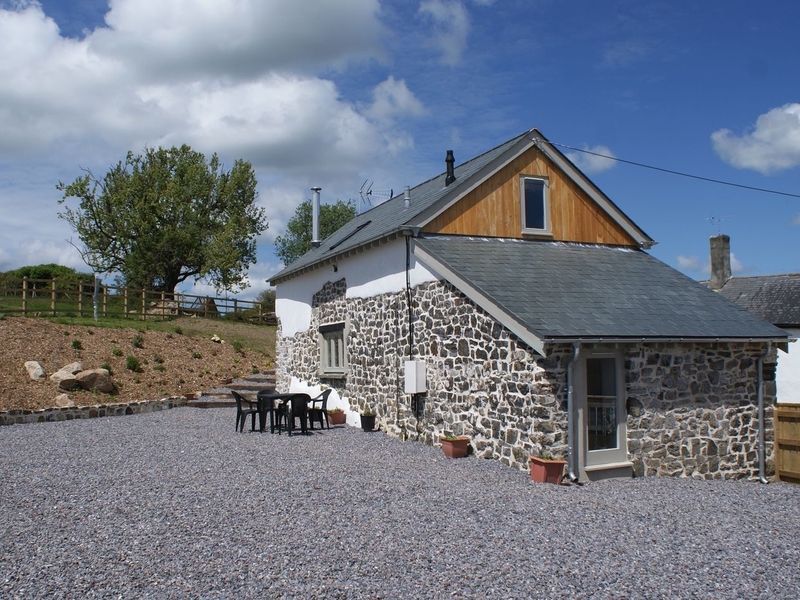 The building overlooks the village and is made of Granite that gives it a bleak austere feel contrasting greatly with the interior. It was the last castle built in England and is now maintained by the National Trust. 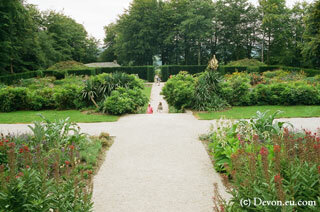 The gardens are also worth a visit in their own right and there are a number of events hosted at Drogo during the year. 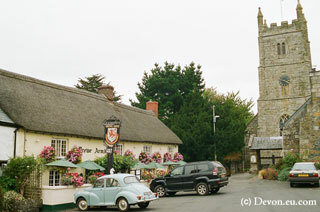 The local authentic pub has had a number of name changes, but is now known as the Drewe Arms. 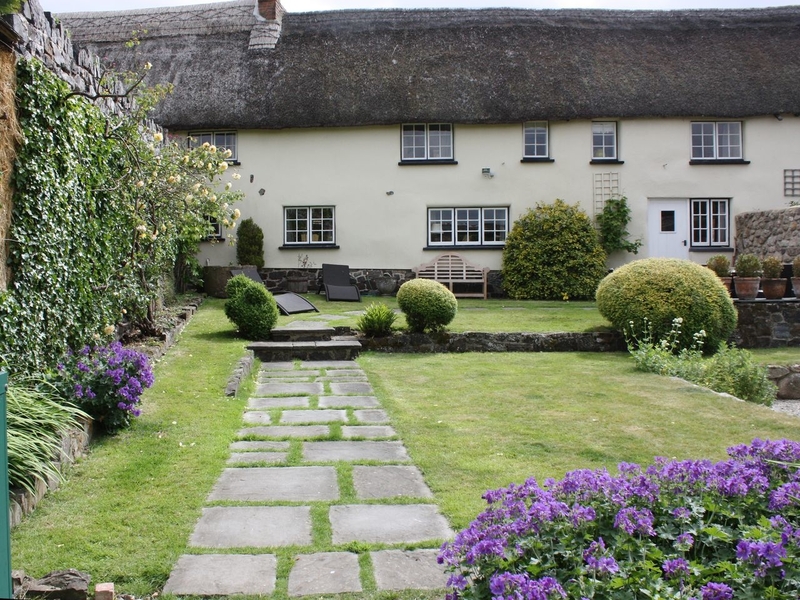 Devon attracts a variety of visitors and Drewsteignton will definitely appeal to those that marvel at the beauty of Dartmoor and the villages on it.